I think I am able to build Joe a very special guitar, which completely meets his demands. I am just as animated by building the perfect guitar for someone, as Joe is to play it. How special it would be when these two driven souls would result in one guitar? Melting tones... I did it many times before, over eighteen years fulltime now, and I can do it again. Joe, you´re my idol for many years already, your music is sounding in my busy guitar workshop almost every day. I have your sound in my brains. We met once in person, in Córdaba, Spain. If you only would give me the chance, I garantee you will be surprised by the result. If you will not be impressed and get hooked by it, just don´t accept it, without owing me any explanation. The hardest part is to get in contact with you. After that, realizing that very special Aspe guitar for you will be easy, something natural for me. It will flow out of my hands, like your solo´s flow out of yours. Before working out the details, I really would like to know you if there are any specs you want it to feature, and how do you think about this idea. Please give me some brief attention, a little chance, and I will overwhelm you with a really miraculous guitar that will challenge you to get being played over and over. Are you interested to take up the challenge? Let´s see where we´ll end! Regards, Jasper. 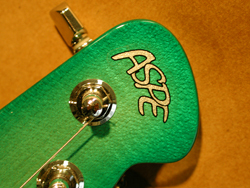 Aspe Guitars: Have it custom built! I'm not Joe - but nice work, Jasper - your guitars look GREAT!!! I saw a pic on one of the pages where there was an inlay of a chameleon on a stick - very impressive. 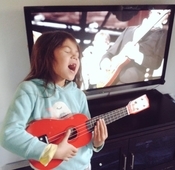 The headstock reminds me of Music Man, yet you've made it your own - hard to do in today's market. Block inlay Gibson ES-335, 50th anniversary American Strat, '61 RI White SG, '62 RI Relic Strat, Replica Korina Flying V, Gold Tone Paul Beard Resonator, '58 Les Paul RI, American Highway 1 Fender Strat, Breedlove Acoustic, Stonetree Joe Bonamassa Custom, HIWATT Lead 100R, Reeves Custom 30. Joe, you are probably rather occupied with the real thing; playing great concerts. I´ll be patience, but please, if you are not interested, say so and I will shut up immediatly. I am thinking about some kind of a "super LP". A bit a tradicional guitar, but with some special extra. 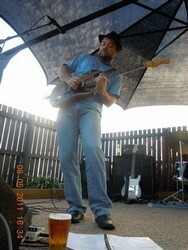 On some older albums (for example "Blues de Luxe"), Joe played single coiled guitars. Although I agree that the humbuckers are more adequate to his style, some of those sounds were great. What about an option which splits the two humbuckers, and puts the remaining halves in series with each other (while most other guitars with split function put them in parallel, a huge difference.)? To compensate for the small loss of volume, I´ll add a little preamp, which will only be active when switched to this particular mode. At the same time, this mini switch will overrule the main toggle switch, so this sound will be available at once, no matter what position the toggle switch is in. This sound will be like a wink to the previous times in his (blues-) career, and although not quite the same as the real single coil sound, comparable and very usable. I had some hundred switches made in Italy to my specs, especially to obtain this possibility. Of course this mode will only add a “little extra” to the guitar; the main quality will be its overall sound and feel. Like I just said, it won´t be active when not selected. Another thing, what about letting out a tone knob? It inevitable eats something from the signal, even when put to ten. With one master volume knob, I don´t suppose Joe will need a tone on this guitar. Further, I consider a 25,5 inch scale, instead of the 24,75 inch scale. This scale offers just that bit more “power” and prolonged sustain. The guitar should be totally and purely built for the best sound imaginable, and therefore the concept has to be very consequent. What do the other fans think about it? Of course I could fill in all the details myself, but I am very interested in what the Joe experts have to say about it. Has anyone some original ideas for this guitar? What would fit Joe best? I like the idea that we all could contribute something to the concept. By the way, thanks for the nice comments! If Joe doesn't want it Jasper, I'll take it. Sounds like a very versatile guitar. Ha ha, I´ll keep that in mind, Jay! Joe, let´s put things the other way around; please tell me that you don´t like the idea having building a custom Aspe guitar for you. When we met in person in 2008 in Spain, you said twice "I´ll look you up!" A year later you accepted a lettre during your concert in The Netherlands (North Sea Jazz Festival). I tried to contact you, maybe hundred times already, with the help of any medium there is. Is it really truth that you never haven´t recieved any of my messages? Do you really never read your own forum, for example? I feel sad that it seems to be impossible to get any answer, while I am prepaired to put everything I have in that guitar. So please, say me that you don´t want it, and I can leave it. Just "No" would be enough. Jasper, Joe reads the forum. He is bombarded by offers by custom guitar makers, pedal builders. Everyone would like the boost it would give to their business if he were to play one on stage or studio. When you have a arsenal of 59's to choose from some custom Music Man guitars and various other vintage and custom guitars like the Gibson's he has I don't think he is in need of another. Give him a break here please. Thanks Jim, for your attention. After so many attemptions, I just lost some of my patience, sorry for that. Of course I am not after spamming Joe. If I was annoying, I apologize. 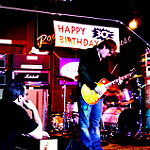 It is not about big business, I am driven by the enthusiasm for music and especially, guitars. I work alone, there is no comercial fabric or so. Regarding to the guitars you mention, yes, I am quite aware of the guitars Joe has. I know them all, since I am a profesional guitar builder for almost two decades now. Those are great guitars, but nevertheless I am strongly convinced I can add one very special to his collection, which he could love. Thanks too, to Dough for your tip. I very much appreciate the gesture. Although I am very much committed to Gibson guitars and Musicman. I'm sure your guitars are great and would love to try one out one day but to play them onstage at this point is unrealistic. I just wanted express my appreciation for your offer but I have to respectfully decline. Thanks again for your friendly words and attention. Thanks too for your great music, it gives me an incredible amount of energy every time I hear it. my name is Manu Herrera. I am a professional Spanish guitar player, and I recorded two instrumental CD´s, with the collaboration of various artists. I am a great fan of Joe. I know the work of Jasper rather well, because two years ago I ordered a custom built guitar with him. 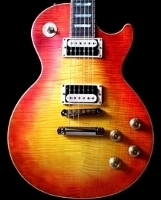 It was built especially for me to meet my expectations, which were based on several other guitars I owned before, but with some new adds as well, were I was dreaming about for a long time already, but which I never found in any conventional guitar. Most guitar players like to change their instrument once in a while, in a search for new and better sounds, but since I received my Aspe MH-1 two years ago, it still is my main guitar, and I find it very addictive. Thanks Jasper, I wish you luck, you deserve the best! 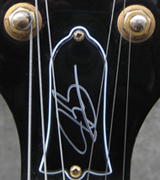 I just checked out your website Jasper, your guitars look like they are of the highest quality. At this point, shouldn't this be moved to Marketplace? All the best Jasper, your guitars look amazing !! Anyhow, pretty cool that Joe took the time to answer with what is no doubt be a very genuine reply.